The National Assembly in France has recently shot down proposals to ease up the pressure on tax regulations in the crypto space. 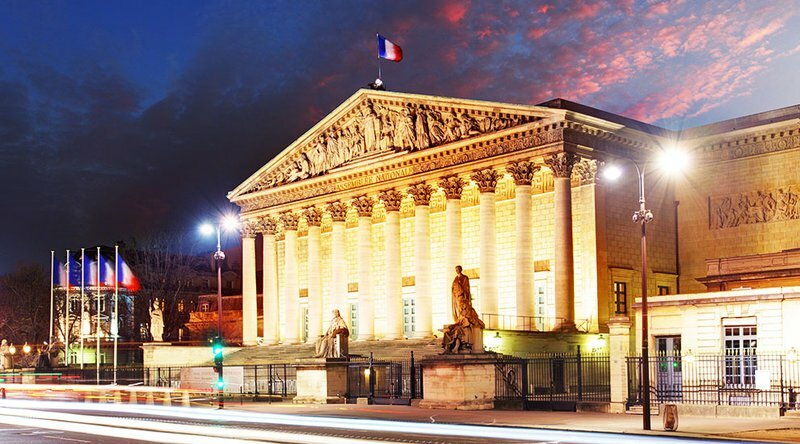 As reported by Bitcoin.fr, there recently existed a series of proposals to present a friendlier environment to cryptocurrency firms in France, none of which were able to pass the lower house of the nation’s legislature. The report listed several proposed amendments to the French tax code, many of which hardly seem like radical ideas. For example, Amendment 399 was apparently intended to clarify distinctions between occasional usage of crypto assets with routine transactions, without any reference to trying to take advantage of either classification. A similar amendment to defer payment of capital gains taxes until crypto assets were converted into fiat also failed. In addition to these, however, were more substantial measures specifically intended to make cryptocurrencies more attractive. One proposed amendment listed figures of 5,000, 3,000 and 305 Euros as annual tax exemptions for usage of cryptocurrency. None passed. Another amendment aimed at allowing cryptocurrency taxation laws to more closely resemble traditional capital gains tax laws was shuttered unceremoniously as well. France’s tax policies as of late have captured the imaginations of the world’s presses. French president Emmanuel Macron has attempted to enact policies of austerity and cuts to social safety nets while continuing to raise taxes on gasoline that millions of French citizens consider a basic necessity to travel and hold a job. The resultant “Yellow Vest” riots are far from able to overwhelm the government entirely at present, but they serve as a grim reminder to the legislature that the French Republic has collapsed entirely multiple times within the last century and had close calls as recently as 1968. In light of these current events, it may simply be that the French government is feeling skittish about showing any more favoritism with its tax policies. In other words, this rejection could have very little to do with the overall viability of cryptocurrencies in France. This is an extremely hot time in the French political scene, and the crypto bear market may not be doing proposed amendments such as these any favors.